For example, Dr. Champagne recently had a visit from one of his patients for a follow-up 10 months after she came in to have multiple procedures to help reverse both facial and neck sagging and wrinkles as well as improve her chin profile. Now, having undergone concurrent procedures, she couldn't be happier with her results. After consulting with Dr. 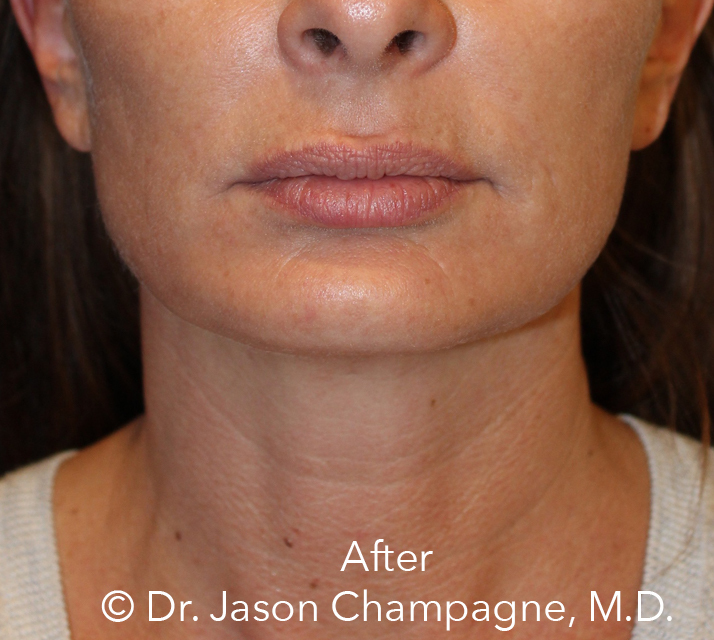 Champagne about the options she had to give her the best outcome, he performed the following procedures to help give her completely natural looking results, taking years off her appearance, and she only had to come in for one surgery day rather than having to visit multiple times. She could have chosen to just have a neck lift and would have achieved great results, but choosing multiple procedures was the best choice as every procedure that was performed all complimented one another to give her face an overall more youthful look instead of just helping with her insecurities about her neckline. Please contact Dr. Jason Champagne to schedule a personalized, confidential consultation. During your consultation, Dr. Champagne will address your goals and answer any questions you may have regarding any of the procedures listed above to help benefit the overall appearance of your face.